I'm no gamer but I love Razer Inc's peripherals. At both home and work I use their BlackWidow keyboards, DeathAdder mice, and Goliathus mousepads. They're reliable and they look and feel great. Sadly, today I discovered something about them that is not so great: The Razer Game Scanner Service. 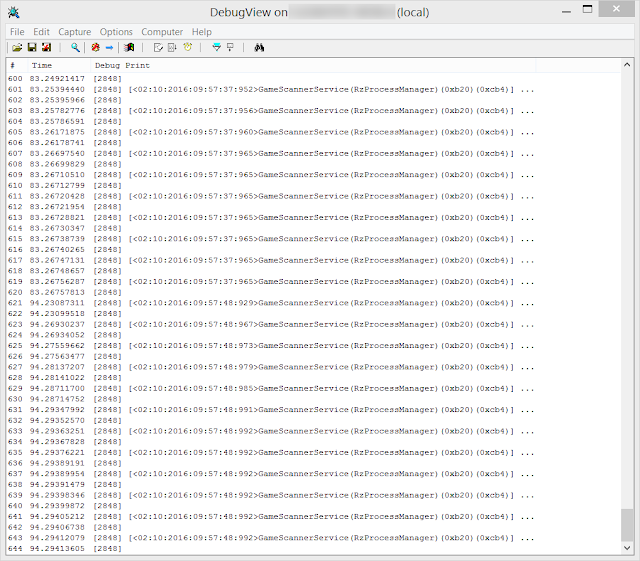 Some service installed on my computer was pumping tons of messages to my computer's debug console, writing the same message several times a second: "GameScannerService(RzProcessManager) (0xb20) (0xcb4)." It didn't take long to figure out that this service is part of the Razer Comms package, which must have installed along with the default Razer Synapse applications that you're prompted to install when you plug a new Razer device into your computer. I don't even have any games installed on this computer, so I obviously don't need this service- but I've got a much bigger problem: This is a Windows logo-certified commercial product that's installed on literally millions of machines around the world that's pumping thousands and thousands of lines of useless information to the debug consoles of those computers all the time. That's a huge waste of collective CPU resources, and it's just plain terrible design. 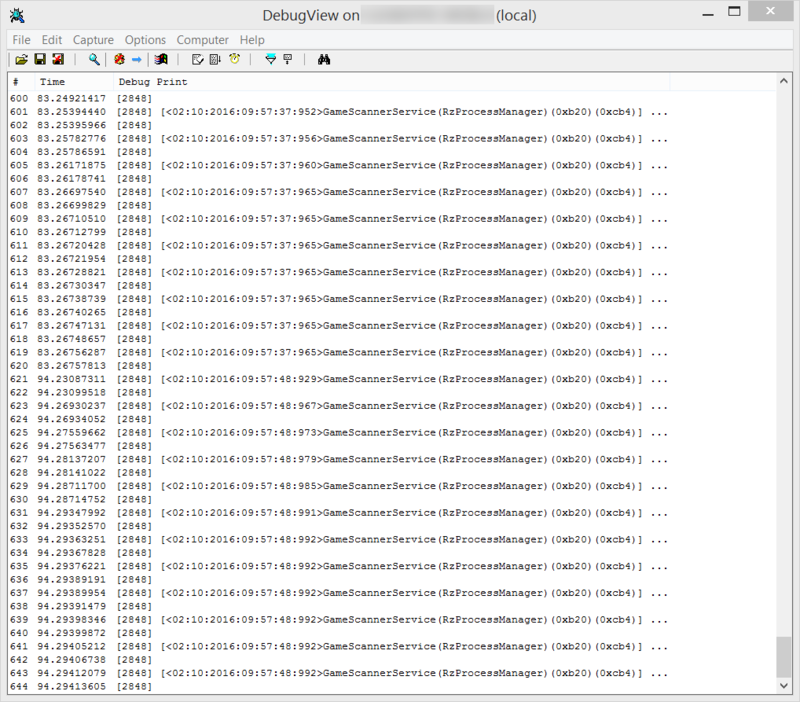 Release-build software shouldn't ever dump anything to the debug console, ever. How in the world did this get past Razer QA and Microsoft's certification labs? 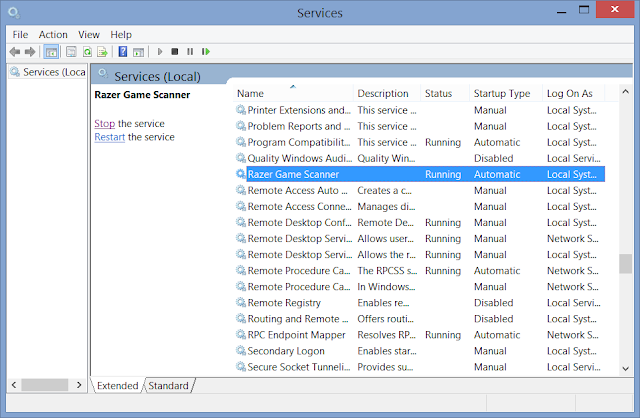 Locate Razer Game Scanner in the list of services. Double-click the service's entry, then click Stop and set the Startup type field to Disabled and then click OK. Depending on the features you need, you might be able to simply uninstall Razer Synapse from the Programs and Features control panel. The icon obscured anything beneath it, and if I tried to drag it out of the way my phone's screen would dim like it was covered by a gray transparent overlay. Once this happened I was also no longer able to touch the screen or use the phone's physical buttons. The only way I could regain use of my phone was to pop out the battery and then pop it back in and restart. Here's how it appeared on my lock screen. 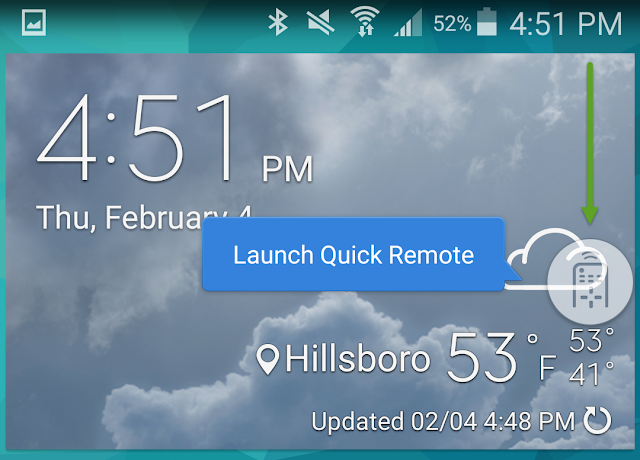 And this is how it appeared on my home screen, with the "Launch Quick Remote" bubble. My phone is an AT&T Samsung Galaxy S5 (Model number: SAMSUNG-SM-G900A) and it's currently running Android version 5.0 (Lollipop). With that model it's really easy to just pop off the back cover, pry out the battery, and then replace it and power the phone back on. Once the phone boots back up you should be able to use your screen and buttons to perform the steps in the next section. 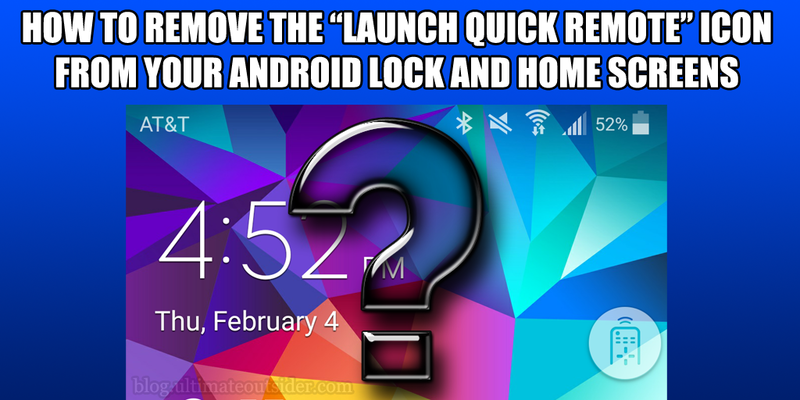 Another commenter, Renay, suggests that there might be a way to regain control of your phone without restarting: "When the screen is stuck, briefly press Vol-up, Home, and Power together. It will give control back immediately." 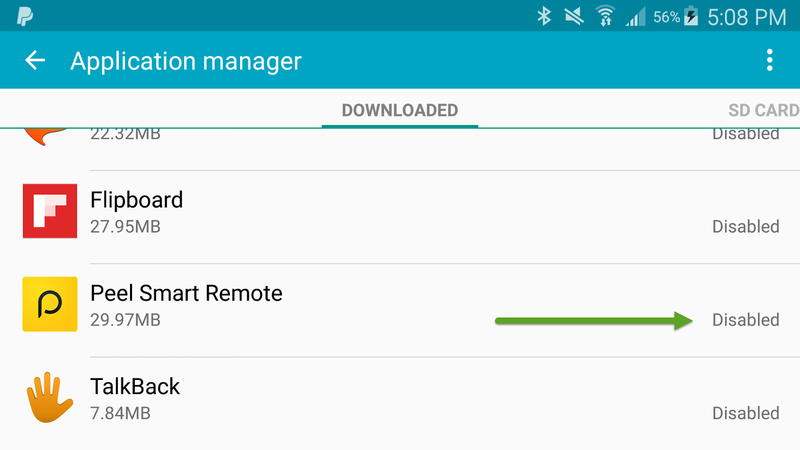 Once you have control over your phone, open up the Settings app and locate the Application manager. Locate Peel Smart Remote in the list and tap it to open its info. You will probably find that the app cannot be uninstalled. However, you should be able to disable it. Press the Disable button. When you return to the list of apps you should now find that Peel Smart Remote is disabled. 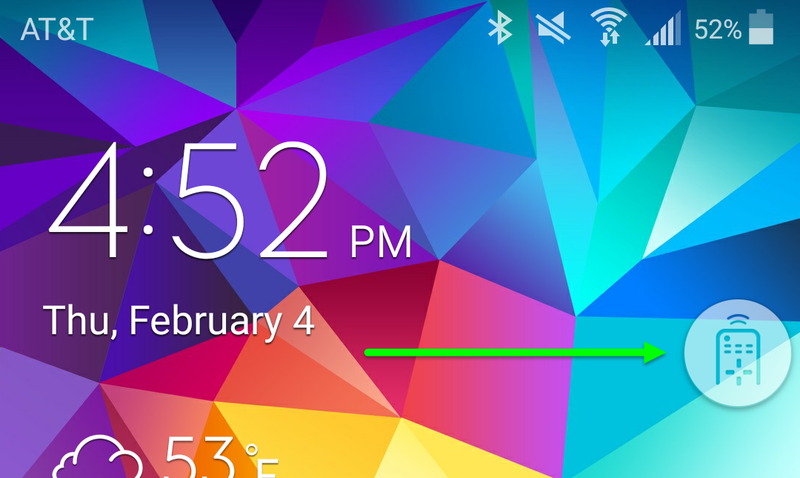 If you restart your phone now, you should no longer see the icon. Why are Peel/Samsung/AT&T putting this dumb icon on my screen without telling me what the *bleep* it's for? What purpose is this thing supposed to serve anyway when tapping it makes my phone unusable? In version 1.1.0.0 of UltimatePluginTool, I've added the ability to relocate entire folders to any other folder or drive on your computer in a way that doesn't affect your existing programs. If you've ever moved a Native Instruments product to another drive and then tried to use Maschine or Komplete Kontrol afterward, you know that relocating an application usually requires more work than simply dragging around some files. Well, the new Relocate Plugin Content wizard of UltimatePluginTool addresses those problems by leaving a symbolic link in the old location where your files used to reside which silently redirects any applications who look there to the new, correct location. The wizard can move the files for you or just create the link if you've already relocated the files. 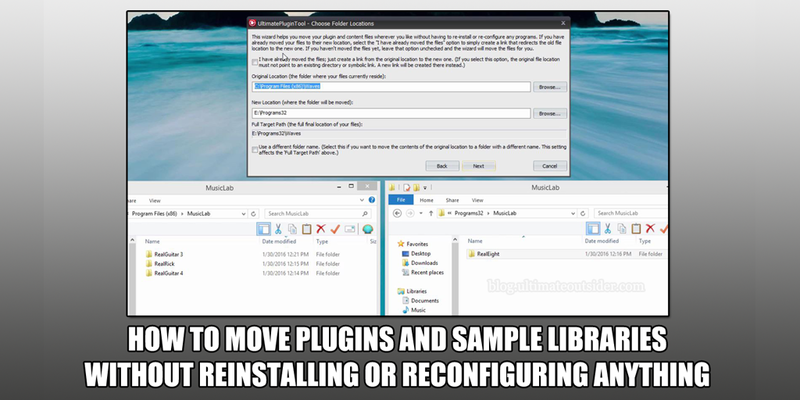 The user guide included with the download has full instructions, and I've posted a video tutorial that walks you through three different examples of the Relocate Plugin Content wizard in action. Even though I added this feature specifically because I wanted to move some of my music applications to a different drive, UltimatePluginTool's Relocate Plugin Content wizard isn't limited to music software. You can seamlessly locate pretty much any folder on your PC to another directory or drive. I've already used it to move a number of applications onto a secondary "programs and plugins" drive. Liberate your applications and unburden your drives!